Sometimes some of the most effective protection you can give yourself as a medieval warrior is also some of the simplest looking. 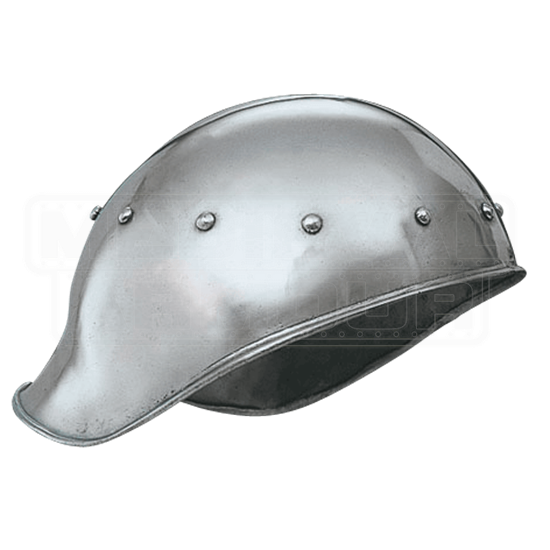 Take this Clesta Helmet, for instance, which is a shaped cap of steel that will protect any warriors head with ease. Simplicity makes this helm a difficult foe to content with, though, as the domed top and sloping sides help to direct force and blows off of the crown of the helm, while the back of the helmet features a flared section that acts as a limited sort of neck guard. A ring of rivets wraps around the crown of the helm, adding a layer of reinforcement that helps keep the helm shaped and strong against impact. Thanks to their small size, these helmets would have been particularly of use to archers, who would have depended on lightness and ease of movement to ensure that they can draw and aim their bow. 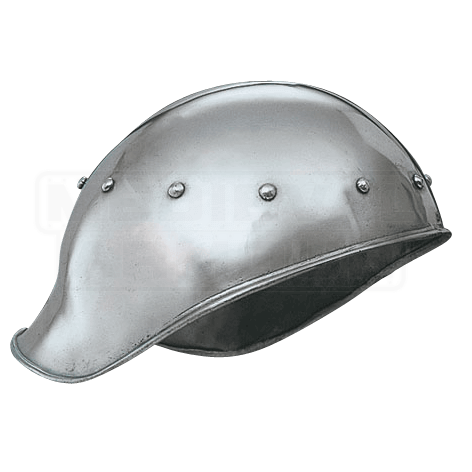 There is no reason you should ever go into battle without some form of head protection, and when the Clesta Helmet offers great protection with little to no drawbacks, which makes this the ideal helm to wear any time that you need to keep your vision unobstructed.